Fall means food. When the weather turns cold, cooking together is a great way for kids to have fun, learn, and bond with family members.These award-winning cookbooks are written especially for kids, with recipes that are simple, reliable, and with a little luck, delicious. A festive medley of recipes, customs, activities, games, and more, this book offers parents and educators fun-filled ways to immerse youngsters in ethnic diversity. Decorated with black-and-white illustrations and photos, the text is divided into five geographic areas: Asia, Europe, Africa and the Middle East, the Americas, and the South Pacific. Surprisingly, many of the recipes that sound intriguing, such as ox-eye eggs from Indonesia, turn out to be familiar dishes with unfamiliar names. But the foods aren’t the real reason to add this to a collection. Rather, it’s the selection of wonderfully creative ideas for theme parties–for example, a backyard tropical beach party–and the interesting sidebars alerting kids to kitchen safety, fun facts, and cultural clues that make the book stand out. Category: Middle Readers. 1995, Williamson, $12.95. Gr. 3-6. A visually inviting, down-to-earth cookbook developed as a result of Katzen’s sessions with fledgling cooks begins with a section in which Katzen emphasizes for child readers their many roles, such as recipe reader and leader of “what happens,” and the importance of “setting up” steps. She insists that a nearby adult be part of the cooking team, and she guarantees that food preparation can be pleasurable. Recipes are divided into five sections: Breakfast Specials; Soups, Sandwiches, and Salads for Lunch or Dinner; Main and Side Dishes: Helping with Dinner for Real; Desserts and a Few Baked Things; and Snacks and a Few Special Drinks.” Cooking steps are boxed, minimally illustrated and written in a voice directed to a young cook. Bold-faced type indicates emphasizes the “ask an adult” cooking steps. 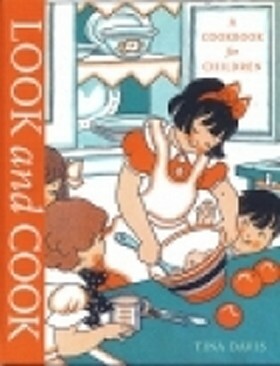 Katzen’s introduction for adults refers to her positive experiences with children’s “earnest concentration” when they’re allowed to “really get involved in the project at hand.” She enumerates skills and other things kids get out of cooking, suggestions for becoming a genuine team, working with more than one young cook at a time, safety issues, tips for streamlining the process, and basic adult jobs. 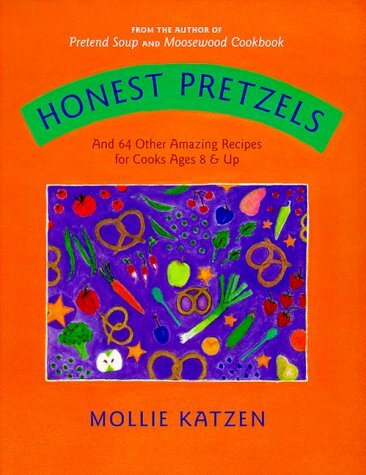 Honest Pretzels is not a “junior” Moosewood Cookbook, Katzen’s book with which many adults are familiar. Instead, it picks up where her Pretend Soup and Other Real Recipes: A Cookbook for Preschoolers & Up (Tricycle Press, 1994) left off. This invitingly designed and indexed cooking primer was developed to “stimulate children’s curiosity” and make it possible for them to feel “genuinely useful.” It’s also possible that adults open to following matter-of-fact directions addressed to children can practice cooking by using Honest Pretzels. CCBC categories: Activities. 1999, Tricycle Press, 177 pages, $19.95. Ages 8-14. I’ve always believed that food and learning make a great combination. What better way to learn United States geography than by sampling regional foods, state-by-state. 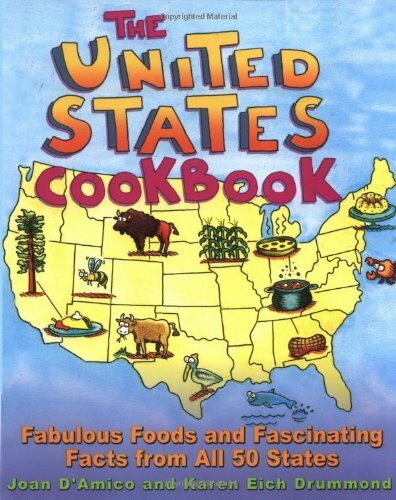 The book is divided regionally and fun facts about foods from each state are given along with a typical recipe for that state. Cooking utensils and safety are described at the beginning of the book in preparation for a safe workplace. Each recipe is clearly described and will easily be understood by beginning cooks. Last week, we had historic Waldorf salad with our Sunday lunch. It gave a whole new twist to the recipe to realize that it had such a venerable past. 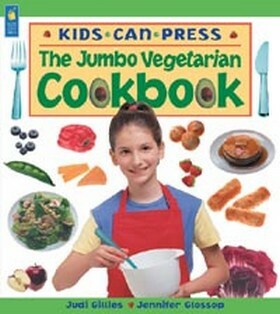 There should be many uses for this cookbook, inside the classroom, at home, 4-H cooking groups, boys and girls clubs, etc. The recipes are nutritious for the most part and definitely an improvement over many other fast food type meals. An index of recipes, states, and state events is helpful in locating items quickly. 2000, John Wiley and Sons, $12.95. Ages 8 to Adult. Profusely illustrated throughout with the full-color photography of Mellisa Punch, “Gadgetology” is a lively and ‘kid friendly’ collection of do-it-yourself instructions for recipe, crafts, games, and experimental projects utilizing thirty-five different kitchen implements or ‘gadgets’ common to any home. Kids can build an edible log cabin with an apple corer, make a strawberry taste like orange juice with a marinade injector, write secret messages in a lemon juice based invisible ink and the use of a citrus squeezer, make a jelly bean nest with a garlic press, and so much more! Fun and informative, “Gadgetology” is a unique and enthusiastically recommended addition to any family or community library children’s activities reference collection. The Cookbook Shelf …., Harvard Common Press, $14.95. Make it from scratch is the rule in this attractive but somewhat jumbled combination of recipes, animal facts, and projects. Easy-to-prepare renditions of traditional favorites–macaroni and cheese, pizza, chocolate pudding–are here, along with a number of basic mixes that can be adapted to several uses. Janet Winter’s full-color illustrations, featuring a riot of animals enjoying tasty delights, are charming, and the display type used throughout the book is very readable. Most of 17 projects, including homemade glue and play clay, can be made in the home kitchen. Adult oversight is a good idea for most of the recipes and projects; there are no illustrations showing procedures. The ecology notes, appearing in text boxes scattered through the book, bear no consistent relationship to the recipes, but the facts are interesting and have been set down with care. Perhaps the information can be used to fill the time as the cookies bake or water comes to a boil. Nutrition information included. Category: Middle Readers. 1998, Harvest Hill, $19.95. Gr. 4-6. This handsomely designed cookbook includes eight to ten soup recipes for each season of the year as well as several related recipes for bread, salads, snacks, and croutons. Jane Dyer’s fanciful watercolor paintings appear throughout the book, offering visions of dancing squash, sunbathing tomatoes, and other food-related fantasies. Though the subtitle reads “A Family Cookbook,” it’s hard to guess the age of the intended audience. The recipes seem designed for a knowledgeable 12-year-old or perhaps an adult, but many of the illustrations would appeal more to a child in kindergarten. And almost anyone would be bemused by the recipe introductions such as the one for Peace Soup. “Always search and work for peace and friendship. A great start is through cooking this pea soup.” For libraries with large collections or those with that unlikely demand for parent-and-child soup cookbooks. Category: Middle Readers. 1999, Little, Brown, $16.95. Gr. 4-6. 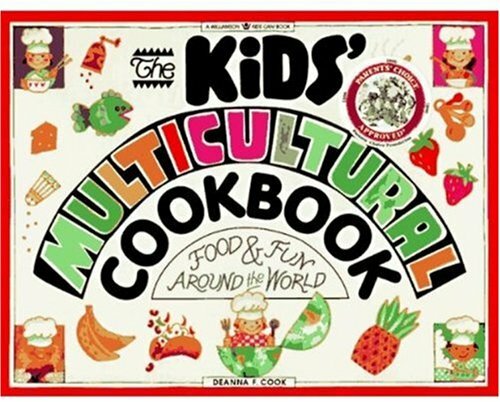 Multicultural cookbooks are common in children’s literature, but this is one of the few directed at a younger audience. The layout is bright and lively, almost to the point of being busy. The author includes a guide to using the book, with a symbol legend and an explanation of the recipes’ layouts. Many photos and maps are included, and the recipes are organized by region-of-origin. The most impressive part of the book is its detailed sections on food preparation. There are the usual glossaries of terms and equipment, but there is also a section dedicated to proper ingredient handling and basic knife skills. The standard warnings regarding sharp or hot implements and adult supervision are present, but the text refreshingly assumes the reader will be a full participant in all aspects of the cooking. The index included at the end makes finding a particular region or type of recipe simple. While relatively short compared to other multicultural cookbooks, this would make a wonderful addition to a home, school, or public library. Rating: Outstanding. Reading Level: Primary; Intermediate. Category: Informational books. 2008, DK Publishing, 128 p., $19.99. © 2002, Brigham Young University. Choux pastry spiders, meringue ghosts, and cupcakes with funny faces are among the tempting treats beginning chefs can create with this showy cookbook, which is extra large to accommodate its magnificently colored, life-size photos of ingredients and finished products. The motive for photographing all ingredients is questionable, however, since readers really can’t tell that they are looking at one-half cup of heavy cream. And do they really need to see 12 drops of food coloring in a teaspoon? Perhaps such illustrative detail could have been replaced by more careful citing of ingredients–the labels for ground cinnamon and ground mixed spices are transposed in the fruit-bread recipe. However, the recipes are simple to execute and very tempting. Drew calls upon young bakers’ energy and patience with her hands-on approach. Though wooden spoons, mixing bowls, and wire whisks are the blending and whipping tools of choice, guide notes allow hand mixers with an adult’s supervision. In fact, adult aid is called for throughout when using the oven or a knife. Moreover, guidance will be needed to keep procedures on track and to demonstrate how to knead dough, which is not explained. 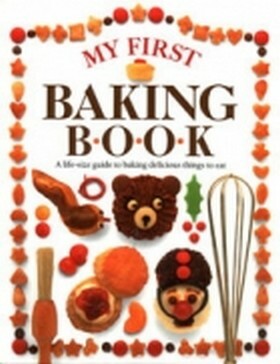 Drew does an excellent job of offering variations on basic recipes–scones, for example, can be made into sweet treats or cheesy snacks–and she also excels at decorative techniques, turning a simple fruit bread into a festive Christmas wreath, and a chocolate cake into an impressive green dinosaur. There’s kitchen fun ahead. Category: Middle Readers. 1991, Knopf/Borzoi, $12 and $13.99. Gr. 3-6. 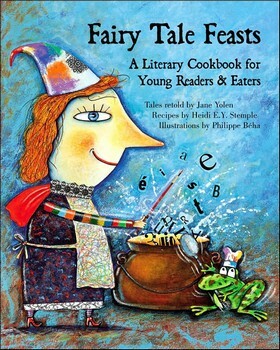 In Fairy Tale Feasts: A Literary Cookbook, the award-winning and prolific author Jane Yolen has teamed up with her daughter, Heidi E.Y. Stemple, to produce a collection of re-told folktales and recipes for the food featured in each story. [……] Twenty folktales, including old favourites such as “The Runaway Pancake,” “Little Red Riding Hood,” “Stone Soup,” “Jack and the Beanstalk,” and “Cinderella” all make their appearance, simply and charmingly told by Yolen, whose graceful prose seems exactly right for each tale. [……] Ingredients and methods are clearly set out, and, although parental supervision is necessary for safety (particularly with chopping and peeling procedures), the majority of preparatory steps can be done by young chefs. Each tale is short enough to leave time for both reading and a cooking. [……] Philippe Béha is an internationally acclaimed Quebec artist who has illustrated over a hundred children’s books. His bold, splashy, brightly-coloured watercolours enliven the pages of this volume. His paintings have a quirky humour which complements the tone and the content of this feast of fairy tales perfectly. At $34.95, Fairy Tale Feasts: A Literary Cookbook is an expensive school library purchase; however, this attractive book would make a great gift for parents or grandparents to share with five to nine year-olds. Highly Recommended. Rating: **** /4. Kindergarten-grade 5. 2006, Tradewind Books, 197 pp., cloth, $34.95. Ages 5 to 10. 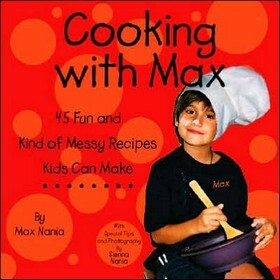 The authors credit their children for the inspiration for this cookbook. It is a fun-filled, delicious romp through lacto-ovo, vegan and vegetarian menus. It includes recipes for breakfast, sandwiches, soups and sauces, vegetables, salads, lunches and dinners, drinks and desserts. Vegetarianism and nutrition are discussed at the beginning as well as cooking safety, and cooking terms. There are 225 pages of recipes that sound inviting and seem easy to prepare. How about Lasagna Spinach Roll-ups, Focaccia Bread, Marinated Cucumbers, with Peach-Banana Sorbet for dessert? Many recipes give suggestions for a full course combination of foods. Directions are simple and straightforward and ingredients and cooking utensils should be readily available for the novice cook. It’s an impressive book. 2002, Kids Can Press, $14.95. Ages 8 to adult. New cookbooks serve up all the tips and recipes a young chef might knead. Vintage illustrations from the 1900s through 1960s dress up the classic fare found in Look and Cook: A Cookbook for Children by Tina Davis, which also grace the spiffy cover that conceals a handy spiral binding. Beginning with tips for measuring correctly and cooking safely, the pages brim with recipes for soup, entrees and grand finales-including all-American standards, from Tuna Noodle Casserole to Apple Pie. Blank pages at the end leave room for new favorites, to attract new generations of hungry mouths to the dinner table.